There was a time when Apex Launcher was among the best home screen apps on Android. However, it fell behind the likes of Nova and Action Launcher before going silent. Apex made a comeback in 2017, but the update to v4 over the summer has been nothing short of a disaster. Now, the developers are trying to undo the damage by rolling back to v3 in the latest "update." The response was swift and overwhelmingly negative when the v4 update rolled out over the summer. Users complained of annoying layout bugs, missing features, deleted settings, and a suggest app feature no one wanted. The app's recent reviews have almost all been one or two stars. According to the latest changelog, the new version's interface is "similar to that of V3." So, it should behave like the old launcher (see above). However, the developer also warns that it might be unstable. That doesn't seem particularly encouraging, nor a good idea after your users have complained for months that the app is a buggy mess. Unfortunately, the rollback is still causing problems for some users—there are complaints of missing apps and continuing UI glitches. The new-old version might just be the v4 app with UI changes to make it look like the old one. 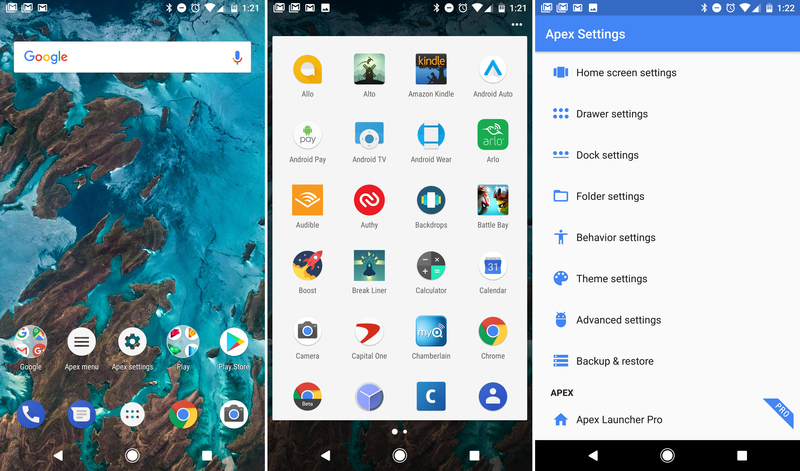 Whatever the situation, Apex Launcher is quickly reaching the point of alienating whatever user base it still has.